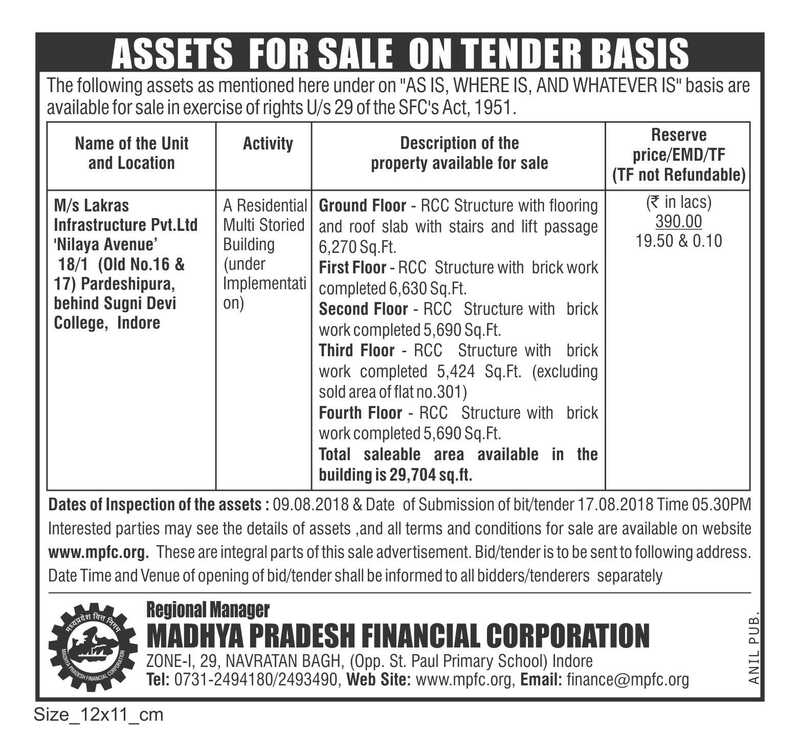 Advertisement for Sale of Unit M/s Lakras Infrastructure Pvt Ltd., Pardeshipura, Indore. 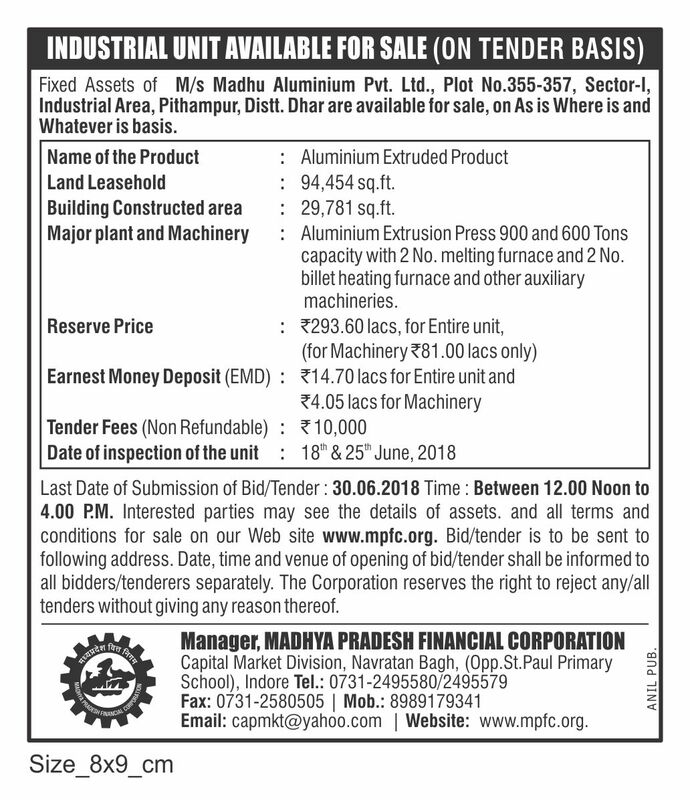 Advertisement for Sale of Unit M/s Madhu Aluminium Pvt Ltd., Pithampur, Dhar. 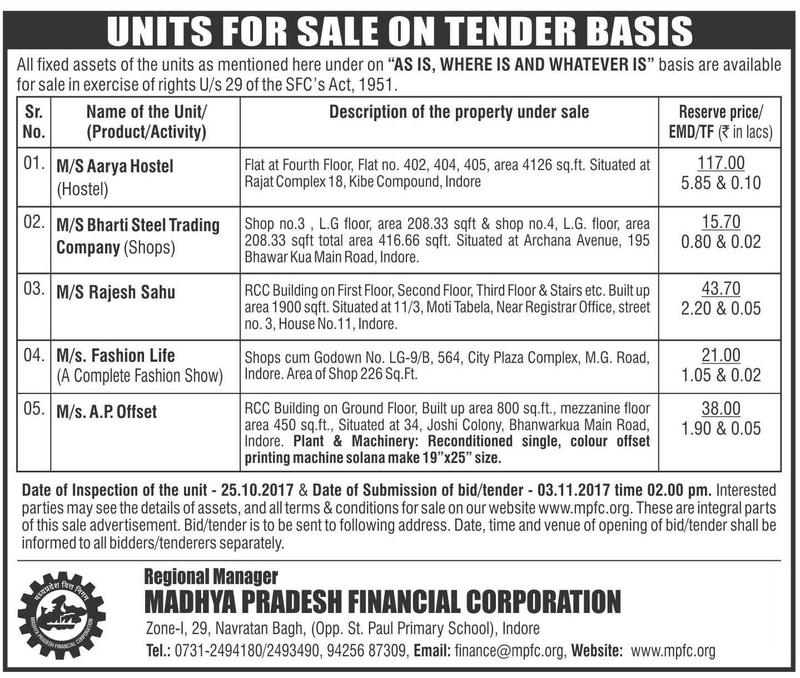 Advertisement for Sale of Unit M/s Globus Homes Pvt Ltd., Misrod, Bhopal. 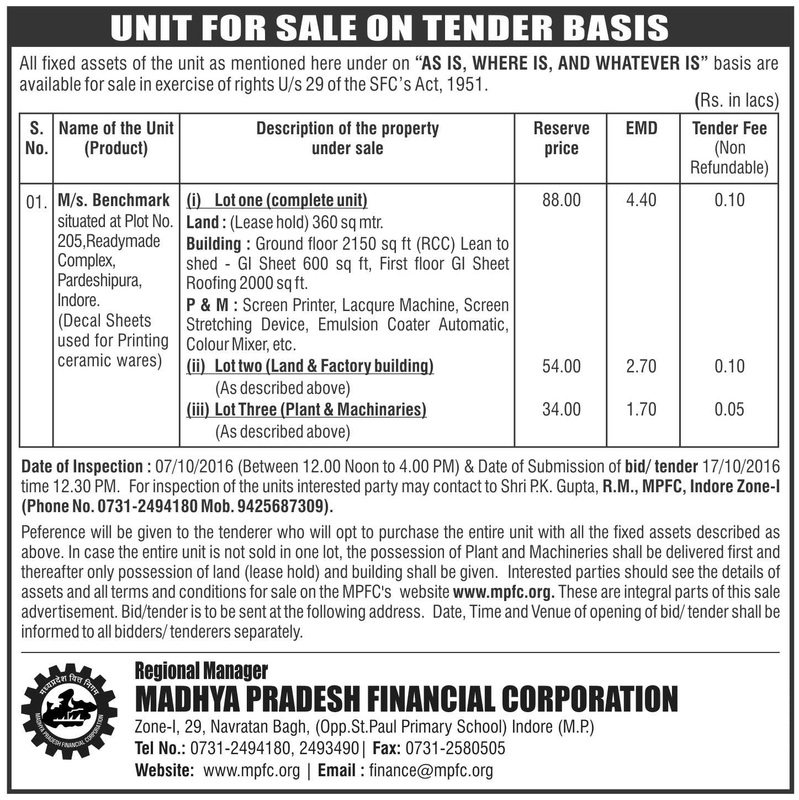 Advertisement for Sale of Unit Almas Amber, Rau, Indore. 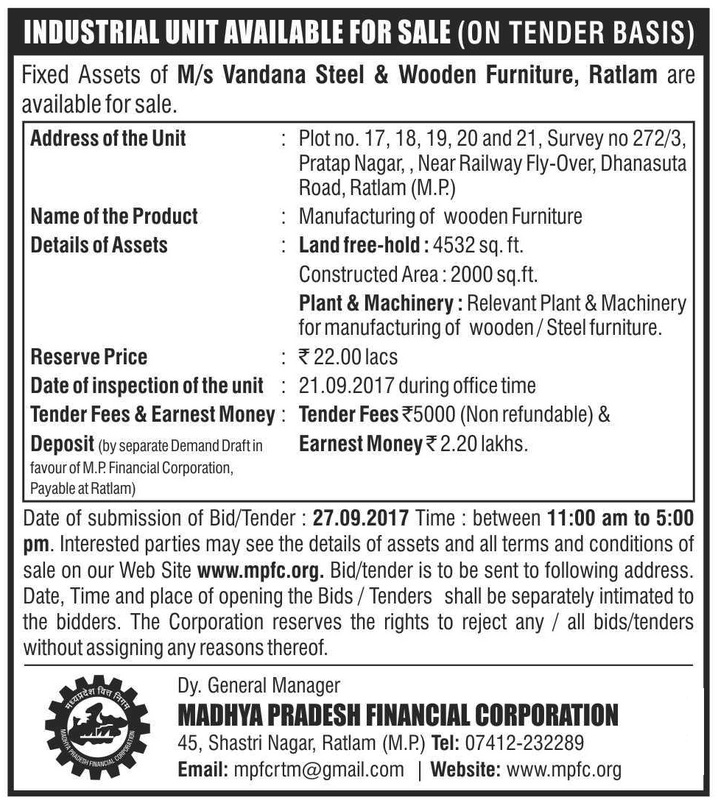 Advertisement for Sale of Unit M/s Vandana Steel & Wooden Furniture, Ratlam. 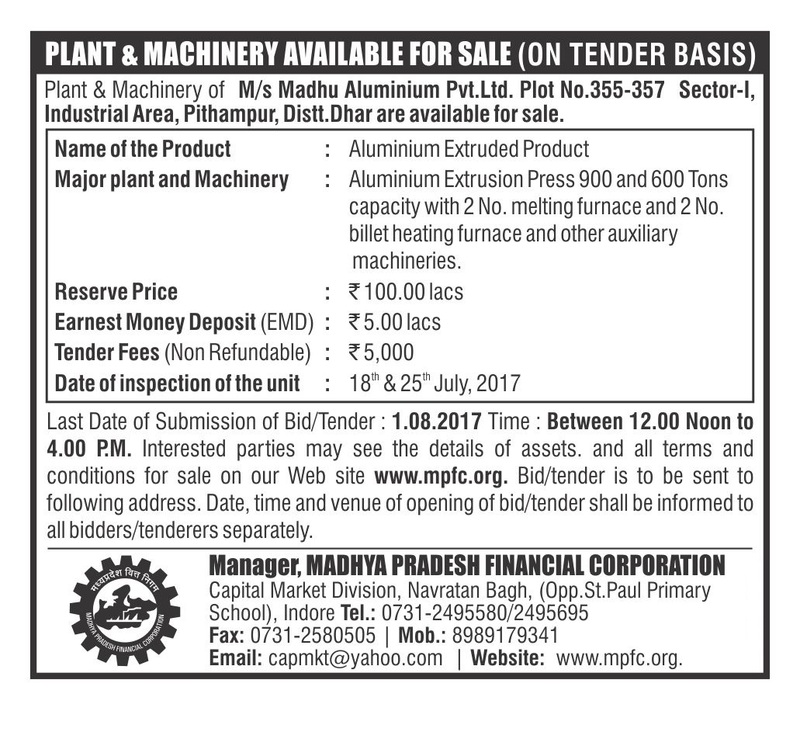 Advertisement for Sale of Unit M/s Deccan Cromates Ltd.
Advertisement for Sale of Unit M/s Madhu Aluminium Pvt Ltd.
Advertisement for Sale of Unit Biomass Briquette, Ujjain. Advertisement for Sale of Unit M.M. 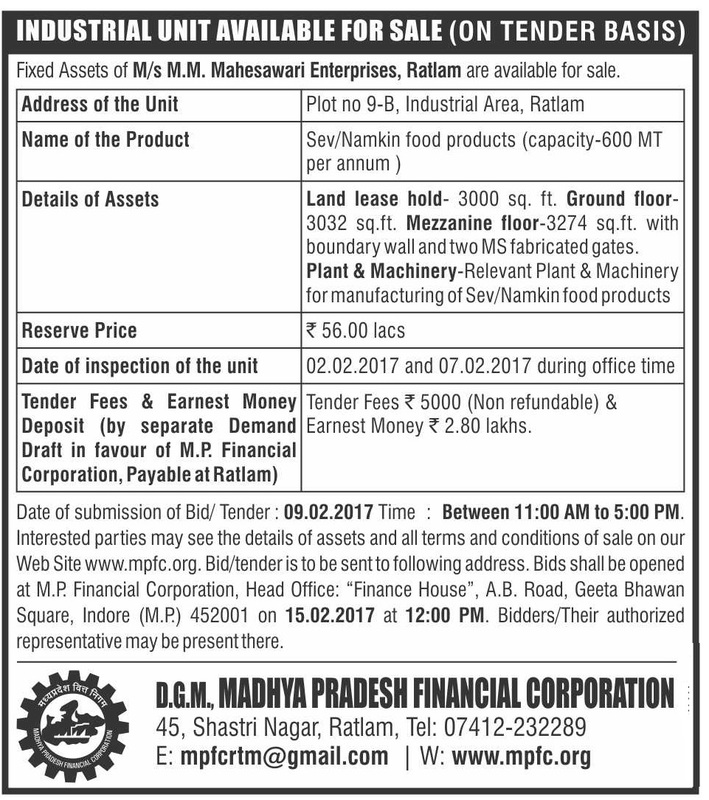 Mahesawari Enterprises, Ratlam . 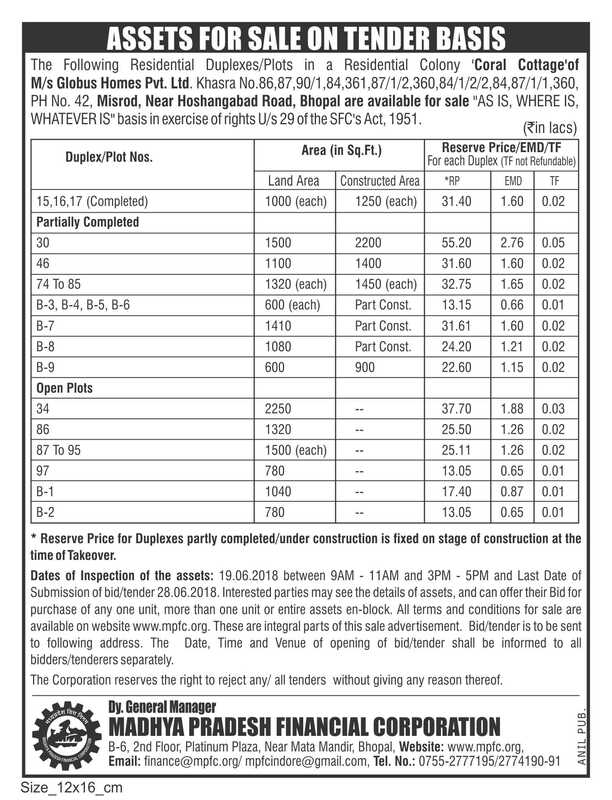 Advertisement for Sale of Unit M/s. Deccan Chromates Limited . Advertisement for Sale of Unit M/s. 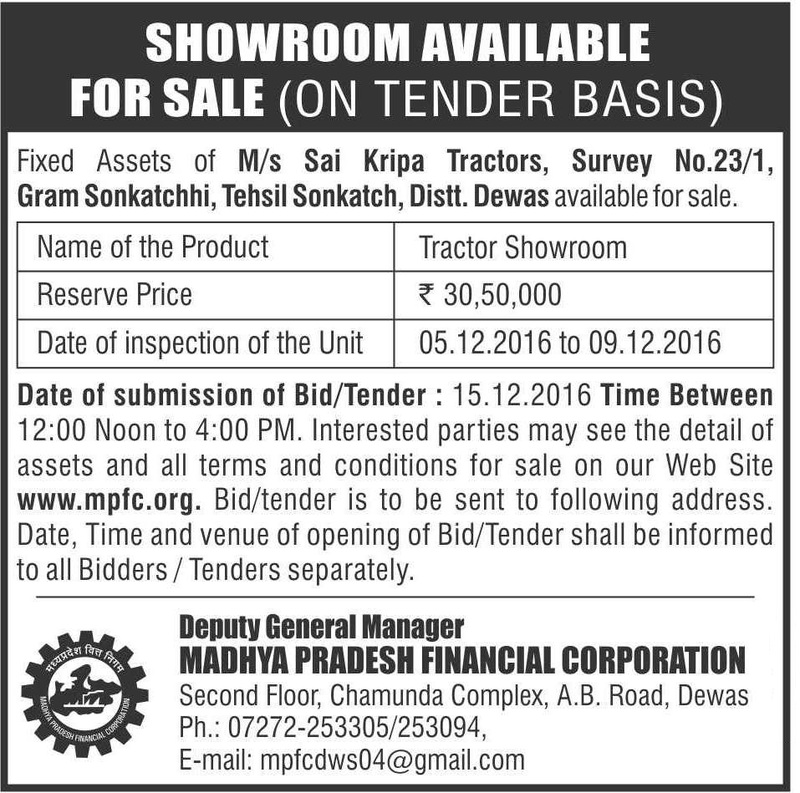 Sai Kripa Tractors . Advertisement for Sale of Unit M/s. R N Industries . Advertisement for Sale of Unit M/s. Suyash Industries, M/s Fashion Life, M/s Tiwari Warehouse & Food Processing . 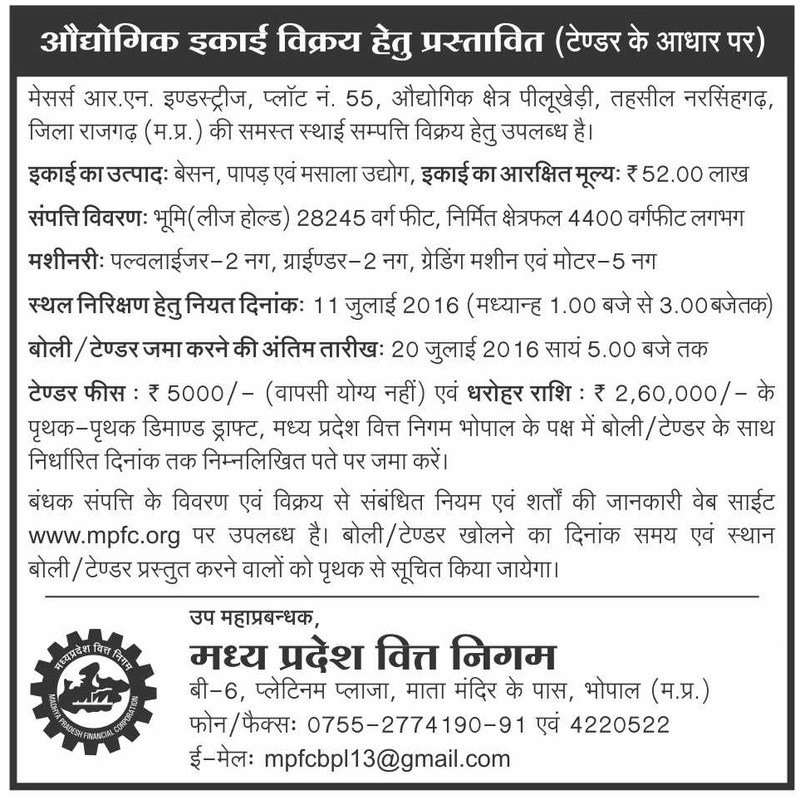 Advertisement for Sale of Unit M/s R N Industries. 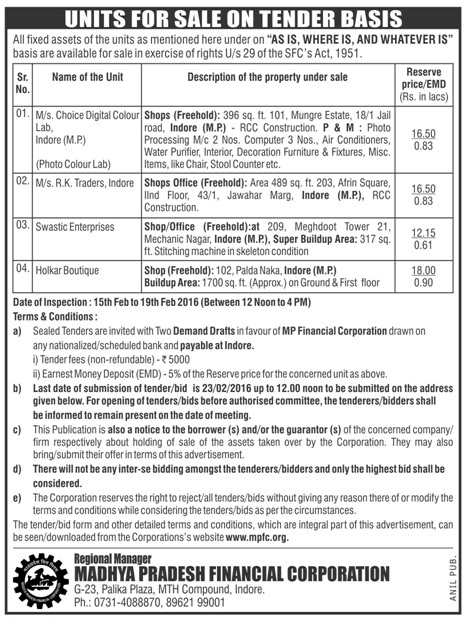 Advertisement for Sale of Unit M/s Choice Digital Color Labs, R K Traders etc..
Advertisement for Sale of Unit M/s Suyash Industries, Indore. 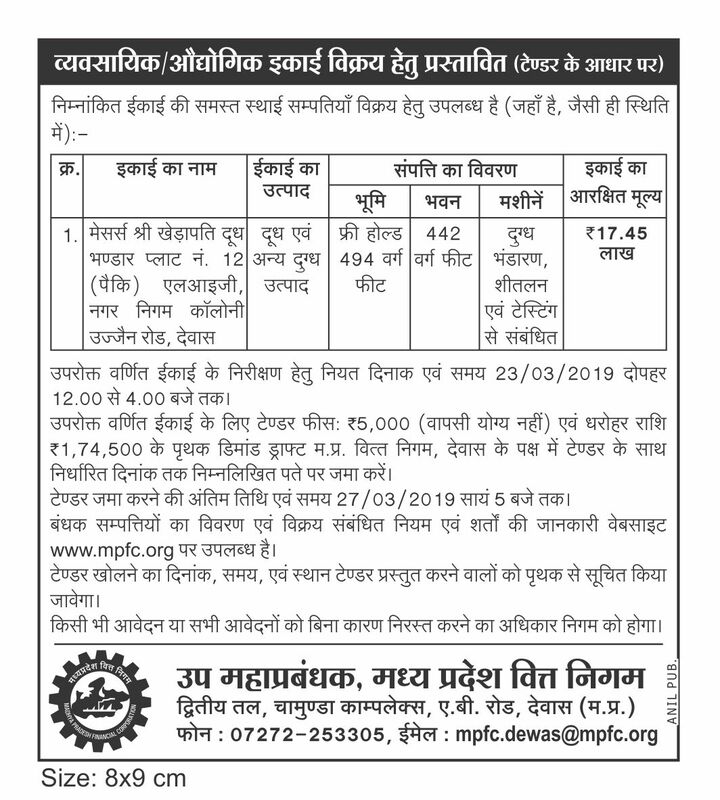 Advertisement for Sale of Unit M/s Decora Tubes Ltd., Pithampur. 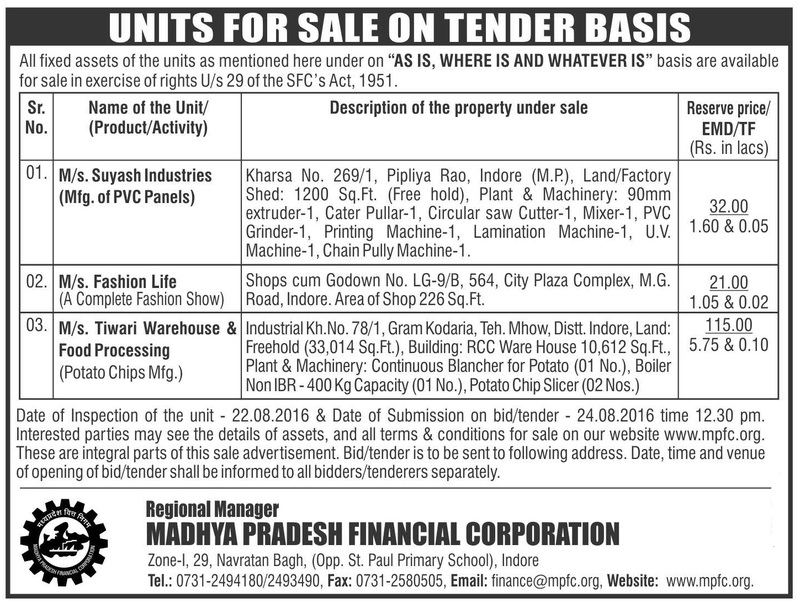 Advertisement for Sale of Unit M/s Benchmark, Indore. M/s Chaudhry Hospital P Ltd.